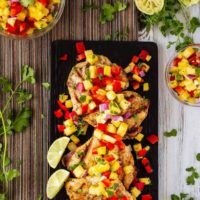 This lemon garlic grilled chicken with pineapple salsa is quick and easy to make and is the perfect summer meal! 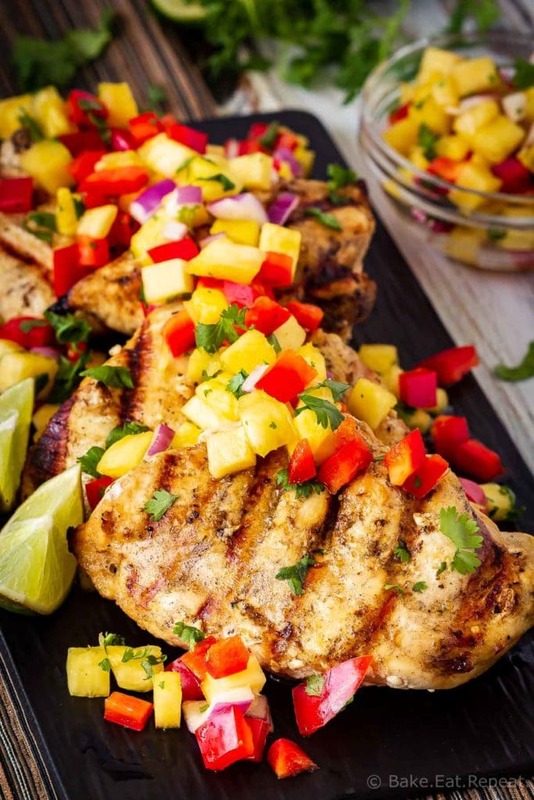 Juicy grilled chicken with fruit salsa! 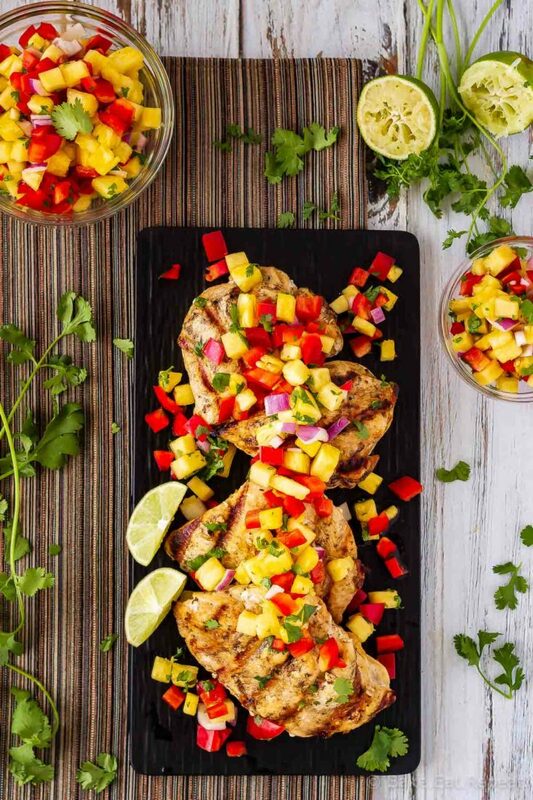 This lemon garlic grilled chicken with pineapple salsa is my new favourite meal. Of course, I have new favourite meals every few days or so – but that doesn’t make it any less delicious! 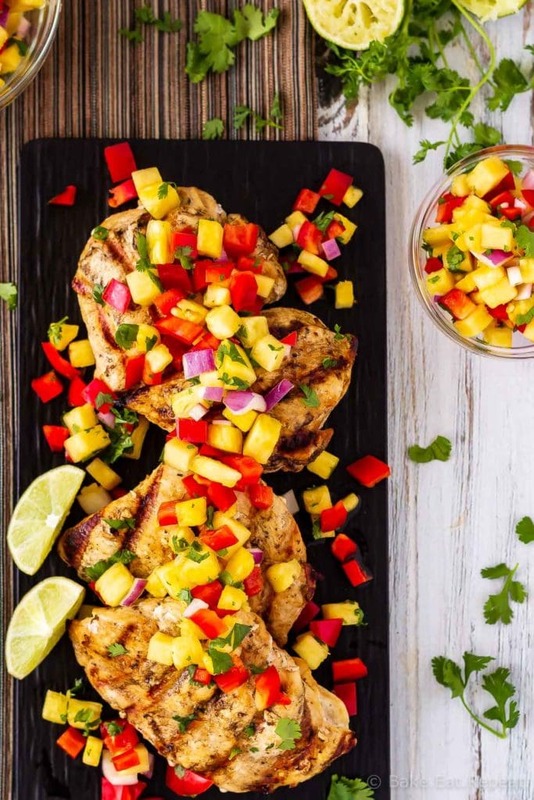 I definitely do love a good fruit salsa though, so even though this lemon garlic grilled chicken is fantastic on it’s own, the pineapple salsa definitely puts it over the top and is worth taking a few minutes to make. 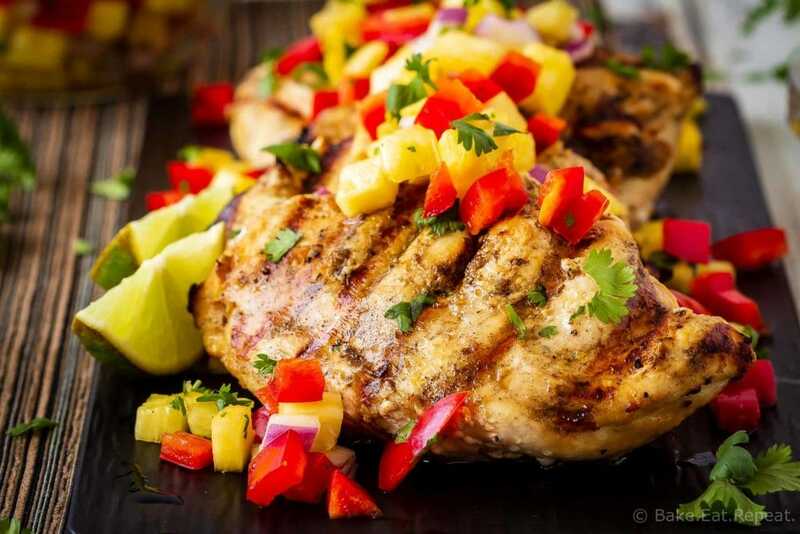 The flavours make such a great combination, juicy lemon garlic grilled chicken with pineapple salsa belong together. If you’re not a pineapple fan (or just don’t have any on hand), you can easily replace the pineapple with another fruit – mango or apple would work very well instead. Or this strawberry kiwi salsa would be great here instead (strawberry mango is great too if you don’t love kiwi!). This lemon garlic grilled chicken does need to be marinated before grilling, so plan ahead. I like to marinate it for at least 30 minutes, and prefer 2 hours. 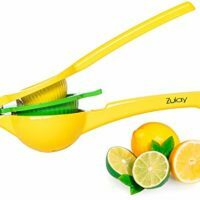 You can marinate it for up to 4 hours if you like, but be careful about marinating it too much longer as I find the lemon juice can start to break down the meat and you may end up with mushy chicken if you leave it for too long. You can also freeze this chicken in the marinade and let it marinate as it defrosts instead. If you’re looking for more freezer chicken marinades, here are 7 chicken marinades that can be used immediately or frozen for later and are all delicious! You can use either chicken breasts or chicken thighs for this recipe, both are delicious, and the cook time will be about the same. Marinate the chicken for at least 30 minutes, and I find 2 hours gives the best flavour. You can technically marinate chicken breasts and thighs for up to two days in the fridge, but I don’t find the flavour changes much as you increase the marinating time from 2 hours, and you may end up with mealy chicken when there’s an acidic component like lemon juice in the marinade as it starts to break down the meat after a certain point. My recommendation is to cook it the same day you’re marinating, or to freeze it and let it marinate as it defrosts overnight in the fridge or for a couple hours in the bag in cold water. To freeze your chicken for later, place the chicken and the lemon garlic chicken marinade into a freezer bag (this tool is awesome for holding the bag while you add your chicken and marinade), squeeze out the air, seal the bag, and then move the meat around in the bag to coat it with the marinade. Lay the bag flat to freeze it as it will defrost easier this way. If your chicken is frozen when you buy it, you can still portion it into meal sized freezer bags and add the marinade if you like – it will marinate as you thaw it for dinner and save you a step on the day you want to cook it. 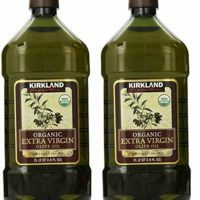 In an 8x8” baking dish (or similar size), whisk together the olive oil, lemon juice, soy sauce, garlic, oregano, salt, and pepper. Add the chicken breasts and turn them over a few times to coat them in the marinade. 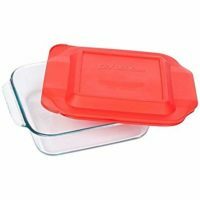 Cover the dish tightly with plastic wrap and refrigerate for 30 minutes or up to 2 hours. Preheat the grill to medium high heat, about 375 degrees F.
Let the excess marinade drip off the chicken and place it on the grill. 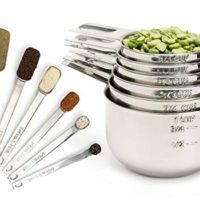 Close the lid and let it cook for 6-8 minutes per side or until it has reached an internal temperature of 165 degrees F when measured with a meat thermometer. Remove the chicken from the grill and let it rest, tented with aluminum foil, for 5 minutes before serving. Meanwhile, make the pineapple salsa. In a medium bowl, toss together the pineapple, red pepper, red onion, cilantro and lime juice until well combined. Source: Chicken marinade adapted from this Lemon Garlic Chicken Marinade. Beautiful! Love the marinade as well as the salsa!